Izuku Midoriya lives in a world where superhuman powers are the norm and dreams of becoming the ultimate superhero, but it's tough going when you possess none of these extraordinary gifts! 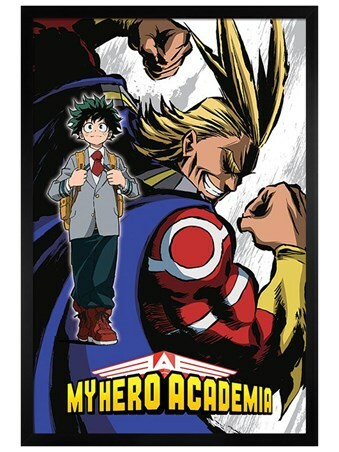 Noticed by the world's greatest hero, who sees something special in Izuku, he shares his powers with this teenage outcast and enrolls him into a high school for heroes in training. 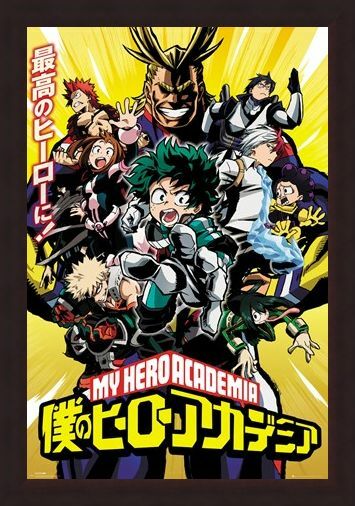 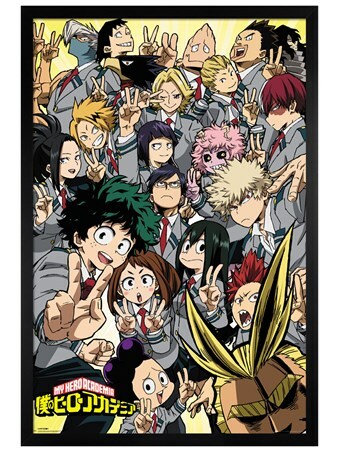 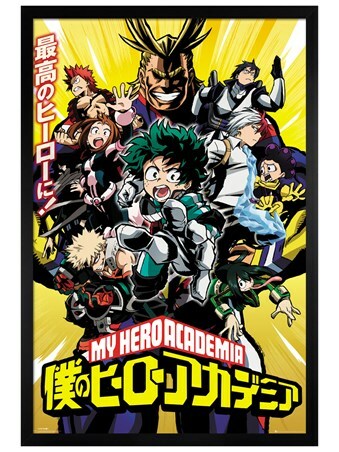 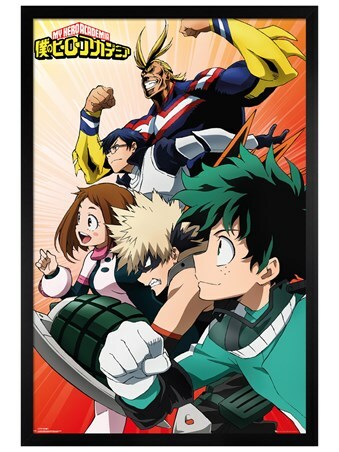 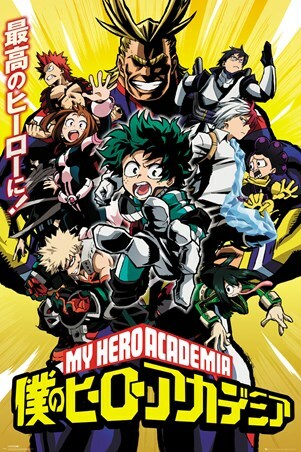 If you loved season one of this madcap manga series, then this wicked poster from My Hero Academia, featuring the cast and the shows title, is a must have for you! High quality, framed Season 1 Cast, My Hero Academia poster with a bespoke frame by our custom framing service.